The founder of budget gym megabrand McFIT now leads a portfolio of businesses with a reach that extends far beyond low-cost fitness. The result? A group rebrand to reflect current and future diversification. Kate Cracknell finds out more and future diversification. Ours is a worldwide group with a broad portfolio of brands and 4,500 employees. It encompasses McFit, the John Reed family (John Reed Fitness Music Club, John Reed Women’s Club, The Reed, John’s Bootcamp), High5, Cyberobics, Qi², LOOX, McFit Models, Tigerpool and The Mirai. As of 28 February 2019, our group – previously known as the McFIT Global Group – is now known as the RSG Group GmbH (Rainer Schaller Global Group GmbH). It’s a fresh new name that fits us perfectly as an owner-operated group of companies, as well as being a clear sign of our continued growth plans and coming of age. What’s the rationale for rebranding? Fitness and sport is in our DNA. 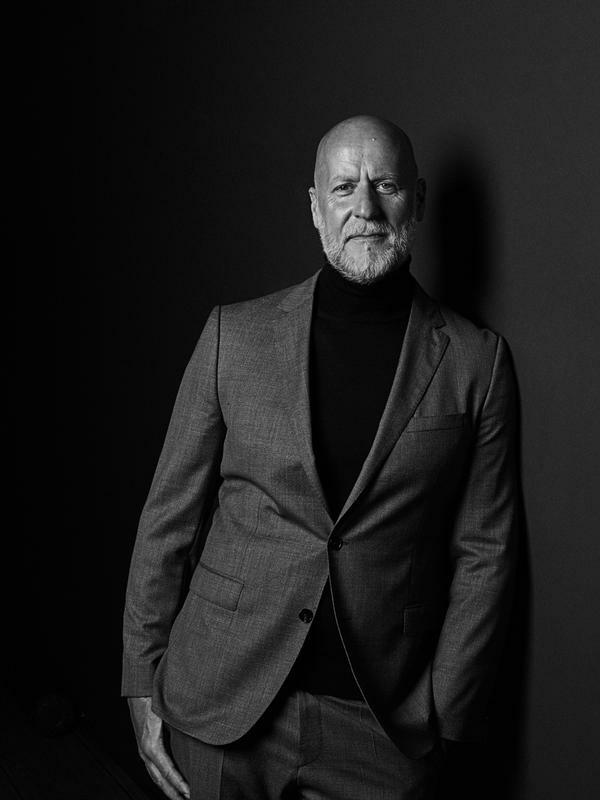 However, over recent years the McFit Global Group expanded 360° around the customer into related areas of design, lifestyle, art, fashion and architecture and the portfolio grew to 12 brands. We decided the time had come to introduce a name that reflected this diversity and brought the brands together. In addition, in spite of our diversification to date, I believe innovation can only truly flourish when established concepts make way for it. Introducing a new name allows for this flexibility. Brands are emotionally charged by people, and those people have to authentically embody the brands in the relationships with stakeholders. As I’m the idea generator behind all of our concepts, I stand for the RSG Group like no-one else. That’s why we decided against a made-up name and based our new brand on my name. Who is the target audience for the new brand? The RSG Group is primarily a B2B brand: the connecting element behind all our brands. At a B2C level, our individual brands remain the focus for our customers. What does the Group stand for? Our strong brands and innovative concepts ensure we’re an essential part of the active daily lives of our customers. We’re the global innovation leader in the fitness and lifestyle segments. You can’t go past us. Regardless of the goal that every single person pursues in their everyday life, we have the right solution for them. However, in an age in which mobility and networking are becoming increasingly important, we’re not resting on our laurels. Rather, we’re constantly developing new areas of activity. We aim to set new benchmarks and provide momentum well beyond the areas of fitness, lifestyle and design. This unconventional thinking is what RSG Group stands for. What areas will you explore next? We’re focused on society and existing trends, as well as constantly setting new trends. All of our concepts will focus specifically on our target groups: bigger, more limited and more exclusive on the one hand and, on the other, smaller, more individualised and more specific than we have ever previously delivered in our history. Behind all the vision and successes of the company is a brain with two halves, which can only be fully effective when they interact. We are mad and focused, loud and strategic, wild and global. This represents the framework for the new company website: www.rsggroup.com. On the corporate, rational side, the user will find all the commercial information on our brands and the group’s history. Meanwhile, the wild, creative, colourful, emotional side reflects all the characteristics and topics and areas of focus that make the RSG Group unique. This symbiosis between the two halves means we’re constantly reinventing ourselves. What are your core priorities? Despite our rapid development, we’ve never lost sight of the fact that our focus is on people and their individual strengths. In fact, this is what drives our innovation and creativity: we’re proud of the diversity of our employees, as well as the family-like culture that nurtures them and their ideas. We work closely and passionately in pursuing a common goal. We’re friends who accept you for who you are from the very first day: we establish trust, learn from each other, learn from our own faults and aim to surpass ourselves every day. We move at a very fast pace, which is why we have our own in-house agency to provide space for creativity and to put ideas into practice. A 30-strong team of copywriters, graphic artists, media designers and image editors are headed by our creative director to give our brands their unique look and feel. Our creative department supervises every project, from initial idea through to finished object. Every gym is individually and lovingly designed, based on the structural and architectural constraints, to reflect the specific brand. So you manage and deliver all your creative processes in-house? For very special projects, we’re always happy to collaborate with renowned artists. Fashion designer Michael Michalsky designed the Home of Fitness concept for our McFIT studios, while the wallpaper for our John Reed Family originates from the creative spirit of Japanese star designer Shinpei Naito, who has also developed designs for Adidas. In our John Reed Fitness Music Clubs, we also support street artists: for instance, a work by El Bochos adorns our studio in Berlin, the Chilean artist Otto Schade is immortalised in Hamburg-Wandsbek, and Bond Truluv created an oversize waving cat for our Leipzig gym. 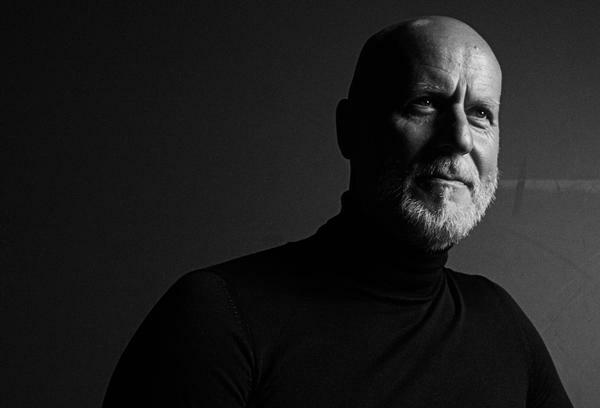 Our unique creative approach can also be seen in our new family members Ron Miller and Marcell Von Berlin, both managed by our subsidiary Tigerpool. Do you even worry about the competition? We believe our vision lets us stay in touch with the latest trends – not just in the fitness market, but well beyond this as well. Nevertheless, I strongly believe that competition invigorates our business, driving everyone to constantly become better and never stand still. What will the new brand help you achieve? As our new umbrella brand, the RSG Group will tie all our brands together well beyond the fitness industry. We will use it to position ourselves as a global innovation leader in the fitness and lifestyle sectors. 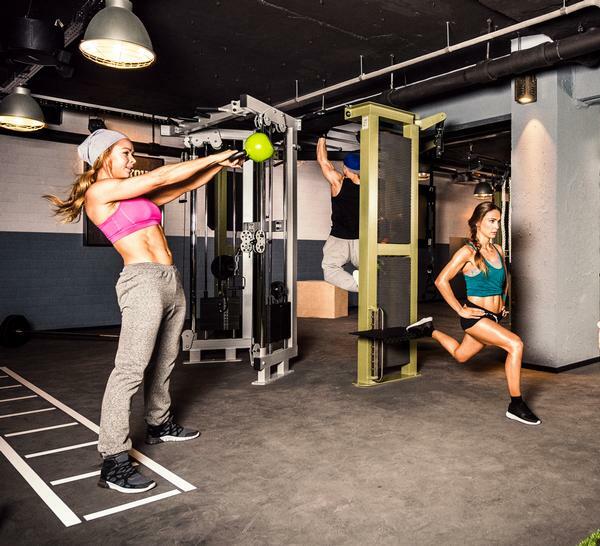 With 1.95 million members across 255 clubs, low-cost trailblazer McFIT is home to Europe’s largest fitness community across five countries: Germany, Spain, Austria, Poland and Italy. 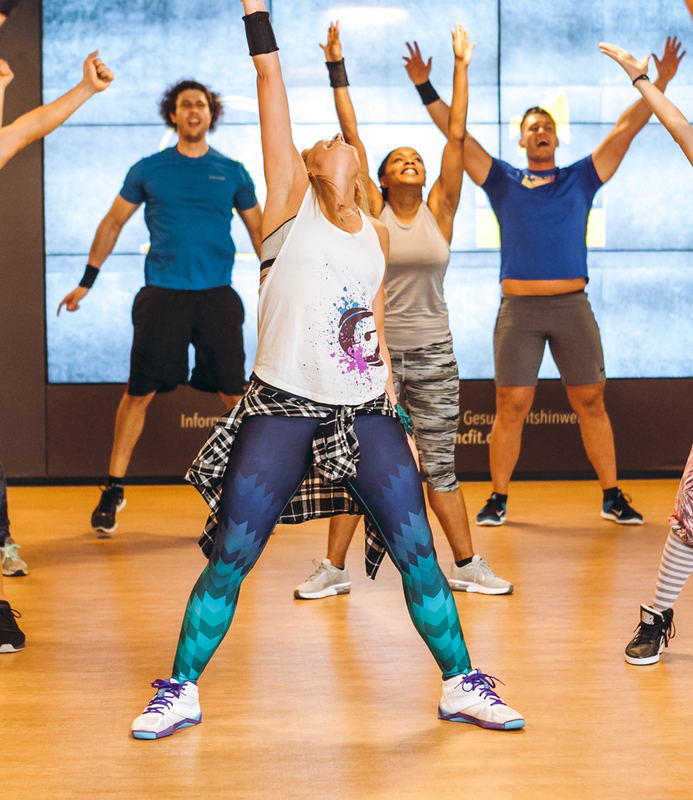 The experience aims to exceed the price tag, with live classes and group workouts, plus training variety to drive member motivation. Good sound, a commitment to design and a diversity of training for a cosmopolitan lifestyle. The focus at these 19 clubs is on providing the right music for training, with regular DJ slots and John Reed Radio. The urban design and special lighting concept add to the atmosphere. The John Reed Women’s Club offers a mix of fitness and relaxation in a Scandinavian-feel club. 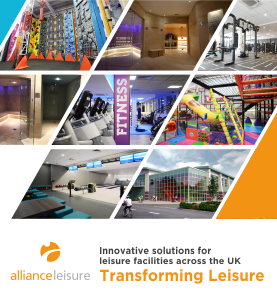 Alongside a full gym and class offering are personal training, massages, a large wellness/sauna area, a health bar selling smoothies and protein snacks, a complimentary crèche service at the Kids’ Club, and weekly member events. The Reed clubhouse is the heart and soul of the brand – a place of interaction, idea sharing and community. Offering a restaurant, deli, bar and club, it’s located on the Alexanderplatz in Berlin. The focal element on the second floor is the 20m-high curved LED wall. 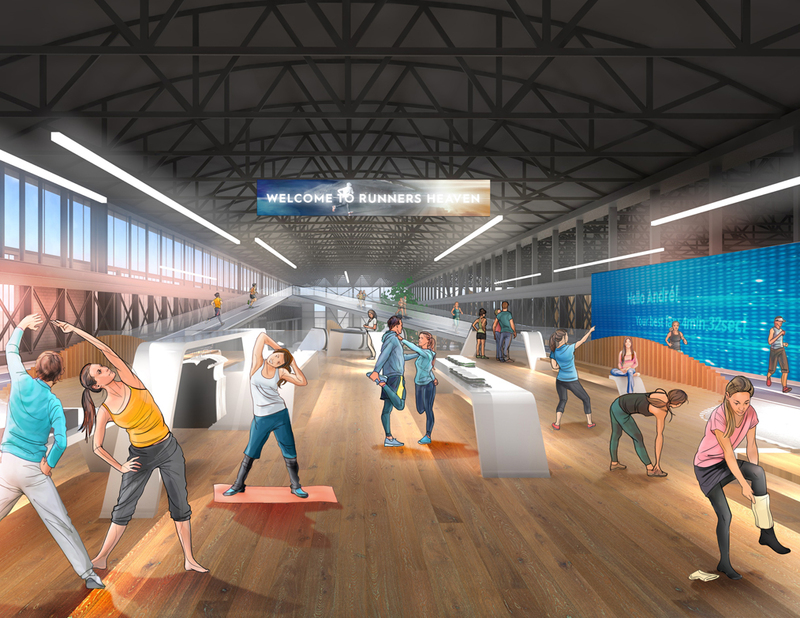 An boutique concept for fitness-hungry city-dwellers. 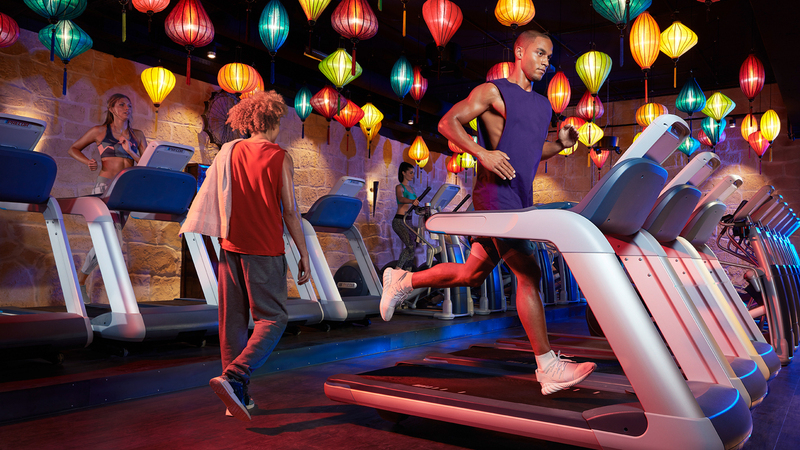 The interval-based workout comprises 60 minutes of strength and endurance training, run by coaches and with a specially created sound and lighting concept. 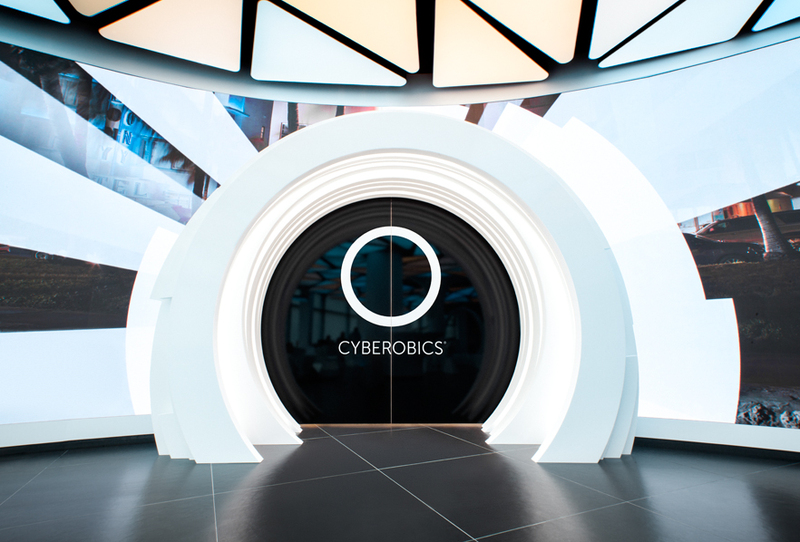 CYBEROBICS aims to redefine the training experience by merging the real and virtual worlds. Over 85 classes are available across all styles of training, led by top trainers in the US and filmed in breathtaking locations. The LOOX fitness planner app and online magazine offers 320 training plans from 100 experts, provides suggestions and motivation for women and men at all training levels. Europe’s largest sports model agency. The focus is on fitness and health rather than following the skinny trend. Any one of the RSG Group’s almost two million members can apply to McFit Models and be featured on the website. The goal: to provide sports models who aren’t just fit, but are also fresh faces in the modelling world. Qi² Sports Nutrition is all about high-quality sports nutrition with a great taste. 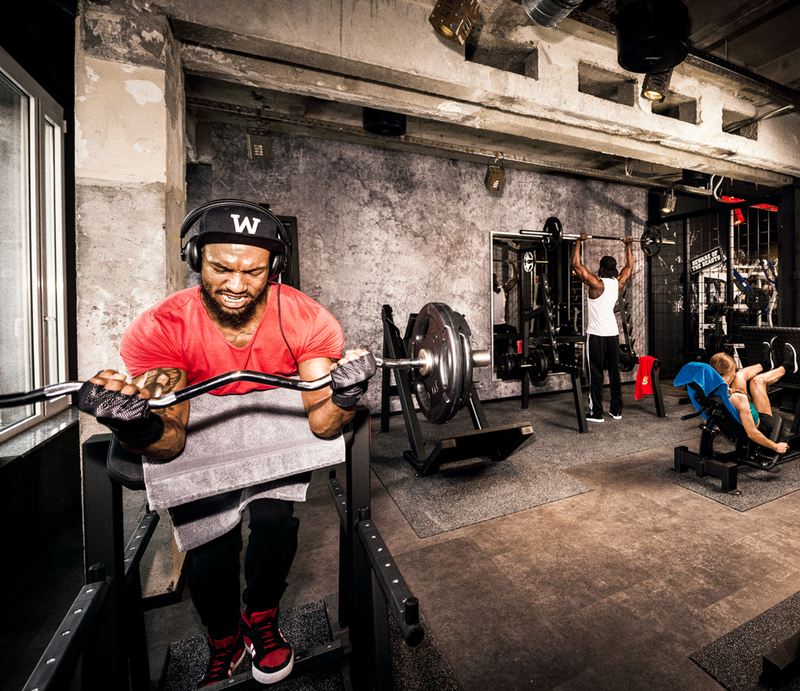 Qi² stands for attractive², energy² and strength² and takes training to the next level. The four product lines – Vegan, Woman, Man and Pro – perfectly support the daily nutrition of everyone from beginners to elites, helping them achieve their goals. High5 is focused on fitness and functional training. 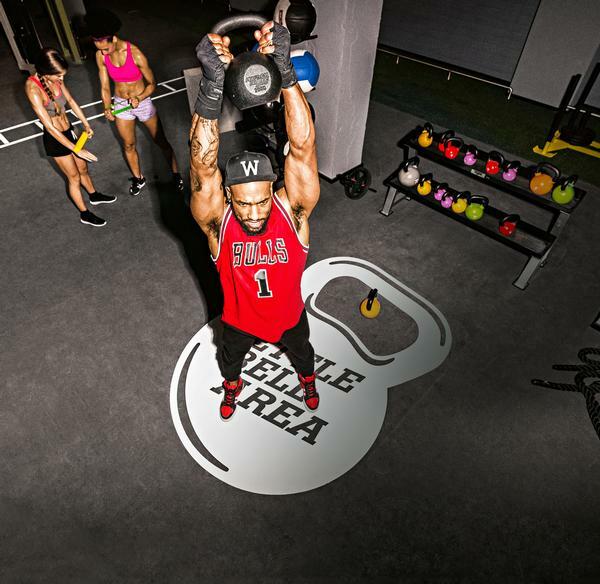 With an American vintage feel and college décor, members of these 15 gyms have access to a huge range of functional training options as well as a fully-equipped gym. This management agency launched in 2017 with the aim of catapulting selected designers and artists into the limelight. The Ron Miller collective has made it its mission to transport its street art roots to canvases and galleries. Likewise, Tigerpool fashion designer Marcell Von Berlin offers a combination of modern street style with a classic new look. When it opens in 2021, The Mirai will be an unparalleled, 55,000sq m centre for fitness and sport. By bringing together different collaborators – the fitness industry, B2B partners, education and training institutes, research and development – The Mirai will make it possible for anyone who’s interested to train and experience the future of fitness in the here and now, without having to pay monthly membership fees (see HCM July 18, p48).